Please choose 1 of our packages below, you will only be charged 50% of the package price today, the remaining balance is due once the site is done and you have approved it. Why do I see 6 options below and yet you only have 3 packages? Each package also has the option of having me hire a Content Writer to research each area and give me 4-5 SEO friendly, non-duplicate content describing the Area. Really helps rank the page on Google. It's $25 per page so we have the Basic Package, then Basic with Content, Premium Package then Premium with Content, Platinum Package, and Platinum with Content. We are currently scheduled out about a week so you can expect your site to be done in about 10 business days. It takes about 4-6 weeks for us to get the content back and we can't order it until the site goes live. Many (if not most) times the Area's change during the build process and we would end up ordering content (and you having to pay for content) that is not used nor needed. The Content Writer we use does a very good job, but that has it's downside too, we only use her and her alone and give her literally 100's of pages a month. The content is more for Google than for the visitor and going live beforehand won't affect the SEO value of the content as Google is continually indexing the site. If this doesn't and you want to try another avenue we would recommend using www.textbroker.com or www.scripted.com. You can also submit your own Area Page content on the "Target Market" step, just don't choose any of the 3 "with Area Page Content" packages below. You will receive a Final Invoice when the site is done and ready to go live. Once the remaining balance has been charged to the credit card you provided we will contact Real Geeks, confirm everything is ready to go on their end, set your Name Servers and your site will go live! Sometimes we can use content and elements from your current site. We also might be able to Export your Past Blog Posts and have Real Geeks Import them into the new site. If the site does not allow your Blog Posts to be Exported or does not provide a Wordpress Compatible XML File then there will be additional charges if you want your Blog Posts manually recreated on the Real Geeks site. Do you currently use this domain for your email addresses? Do you know who your email provider is? Now let's customize your site! Are you interested in having a "Custom CSS Homepage" designed for your site? No thanks, let's stick with one of the "Standard Layouts" Yes I would Like more information! Normally we will match the site colors to your logo, but is there a color you prefer or want us to use for other elements on the site? 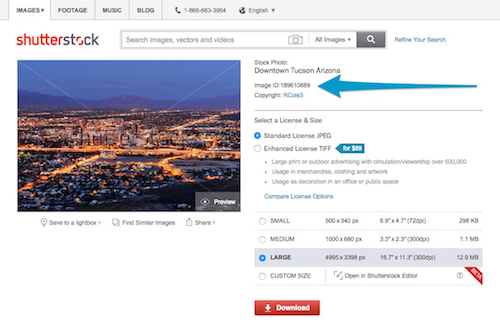 If you don't have an image you would like to use just go to www.shutterstock.com, find an image you would like to use as your Main Banner Image then copy and paste the Image ID below. See example above to find the Image ID. Would you like a "Featured Listings" page? Do you want a "Foreclosures" page? Would you like the "Welcome to Our Website" video added to your site? Would you like "The Home Buying Process" video added to your site? Would you like "Selling" video added to your site? Now we need you to please sign up for a FREE Wistia account at https://wistia.com/account/signup, then enter the Username and Password you choose below. We will use this account to host the videos we will be embedding into your site. Do you want us to add the Real Geeks "What's My Home Worth" tool? A $50 a month charge will be added to your Real Geeks account. Would you like "Recently Sold" listings displayed at the bottom of your Selling page? Do you have a Google Plus page? Do yo have an ActiveRain account? Do you have a Zillow account? 3-4 Paragraphs about this Area - Google likes to see content on the page, this will help your SEO ranking. Don't copy content from another site, Google knows! Please only the "Let's Get Started" button once! It may take a few minutes for all the images you submitted to upload.